It’s time for another look at attempts at passenger experience innovation in the aviation sector. Here are my top 5 innovations that have appeared this past year. Let me know what you think! Attempting to play to its cultural strengths, for the high rollers and business passengers on long-haul flights, Air France has teamed up with a chef from Servair. 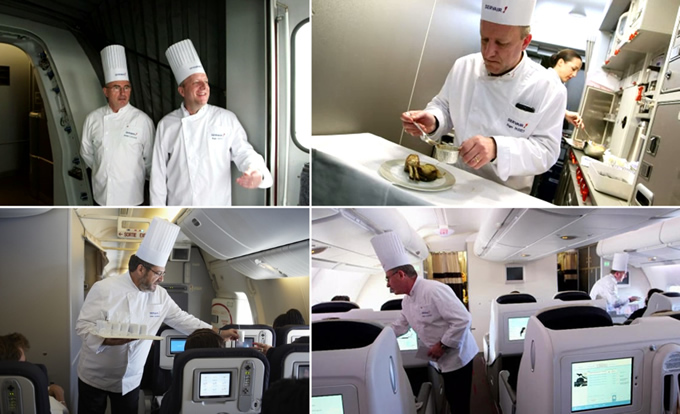 The Chef boards a long-haul Air France flight and welcomes passengers on board in First and Business. During the flight, the chef introduces passengers to special à la carte menus created by respectively French Michelin-star Chef Joel Robuchon and winner of the Bocuse d’Or 2013 Thibaut Ruggeri. Calculating the time for meals and naps, passengers are able to read the books in exactly the time it takes to set off and land. The range was developed with airline’s frequent flyers in mind – mainly male customers – meaning they cover a range of male-centric genres: the thriller, crime and nonfiction. 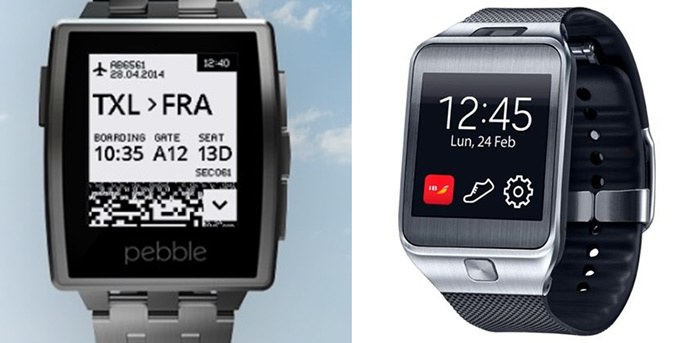 Air Berlin has teamed up with Pebble and Iberia with Samsung to develop a smart watch boarding pass. We’ll see who teams up with Apple when it launches it’s Watch in 2015. For frequent flyers, this may be a god send. 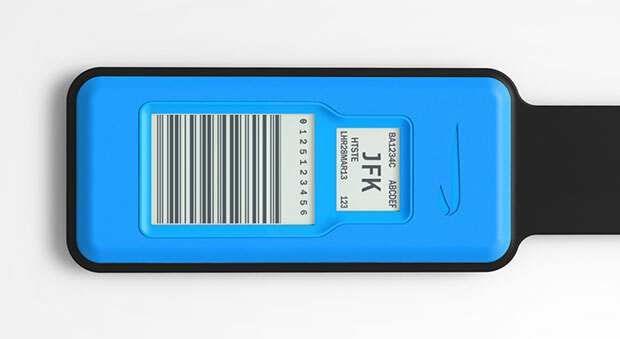 The tags are electronic and reusable and once passengers have checked in, they need to hover a smartphone over the tag to beam both flight info and the barcode to the tag’s display. The idea behind the whole thing isn’t only to keep the paper-changing to a minimum, but to also save precious time at the check-in counter. A win-win for airlines and customers. Finally some respite for the hard done by economy class passenger! 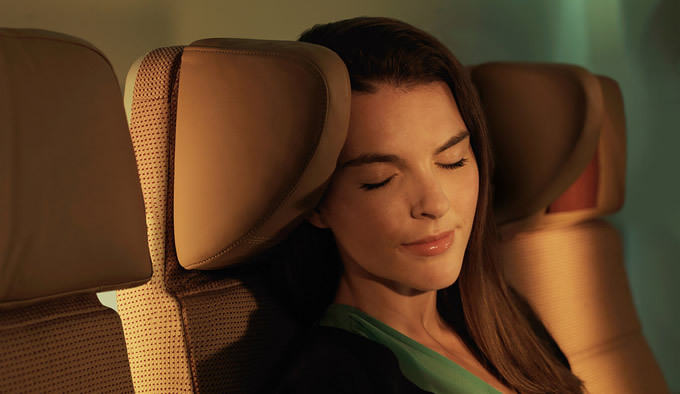 Etihad launched ‘Economy Smart Seats’ featuring a ‘fixed wing’ headrest, designed to provide a firm surface for passengers to rest their head on while asleep on board.The new Economy seats will be rolled out on Etihad’s flagship A380 and Boeing 787-9 Dreamliners. Each Economy Smart Seat reclines 6 inches (more than the industry average) and has adjustable lumbar support. NextHow are European LCCs doing financially?